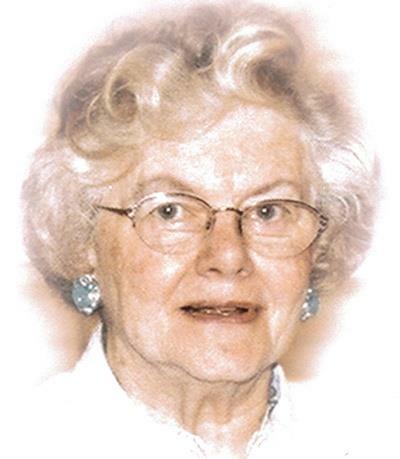 MARY JANE KELLY (nee Gill), 94, beloved wife of the late John J. "Jack"; devoted mother of Kathleen (Joseph) Wadowick, John J., Lawrence W. (deceased), Michael A. (deceased), Paul G. (Emily), Ralph F., and Thomas P. (Birgit); former mother-in-law of Kate and Leslie Kelly; loving grandmother of 10 and great grandmother of nine; cherished daughter of the late John P. and Agnes (nee Sheak); dear sister of the late John J., Elizabeth Ann Strickland, James F. and Peter T. Gill. Mary Jane was an RN, Class of 1946 St. Alexis School of Nursing and was a longtime member of St. Mary of the Falls Parish. The family will receive friends MONDAY 4-8 PM AT THE BAKER-OSINSKI-KENSINGER FUNERAL HOME 206 FRONT ST., BEREA. Please meet Tuesday at 10:30 AM at St. Mary of the Falls Church 25615 Bagley Rd., Olmsted Falls for the Funeral Mass. Interment Ohio Western Reserve National Cemetery, Rittman, OH. Arrangements by WALTER MARTENS AND SONS FUNERAL HOME.